There is no change in the market. This week, the market has moved as I expected. This situation is likely to continue next week. Gold: Gold prices are moving as I expected. 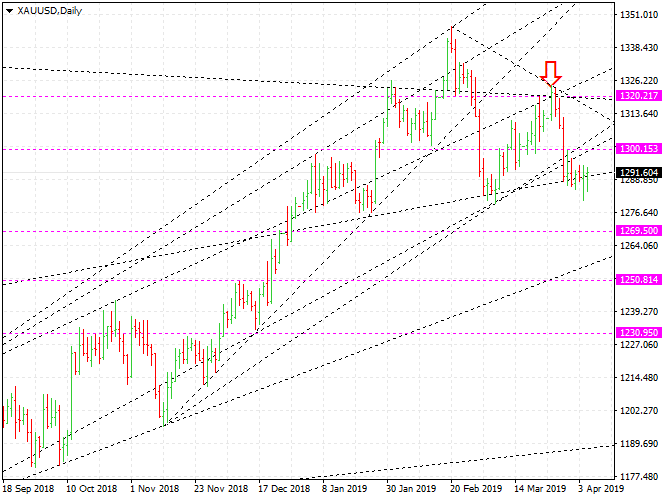 XAUUSD will drop a little more. The resistance line is $ 1300.16, and the support line is $ 1269.5. XAUUSD is stuck between $ 1250 and $ 1307. They are in a downward trend in the long term. Silver prices are likely to fall a little more. The $ 14.95, XAGUSD is standing on, is supportive, but weak. They will drop to $ 14.68. The resistance line is $ 15.34. In the long term, XAGUSD is on a downward trend. If they go over $ 15.3, it would be an opportunity to sell. I will hold the sell-position. Platinum: We need to be interested in platinum. A safe buying opportunity will come. We have to wait. Now is not a good time. WTI: The oil market is moving as I expected. Brent oil and WTI, both reached their resistance lines. They will continue to rise. Brent oil will rise to $ 75.3 and WTI to $ 68. Crude oil prices are not driven by demand / supply. The reason why crude oil prices are rising now is on political and military affairs. In other words, the oil market is in a very unstable situation, and this situation will continue. Euro: The euro has not decided where to go. EURUSD is stuck between 1.1173 and 1.1310. The euro will fall further. If it rises, it would be better to find opportunities to sell. AUDUSD will fall further, and USDCAD will rise further. It would be better to sell AUDUSD and buy USDCAD.